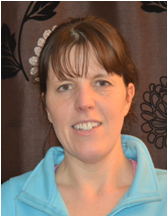 Vicky Smith is a qualified Primary School Teacher with Early Years specialism(3-7 years). She has been working with children for 14 years, 8 of these years as a Teacher. The majority of her teaching career has been based in the U.K.
During 2013-2015, she had the opportunity to teach in an International school in the Netherlands. Vicky’s interest in Yoga materialised shortly after the birth of her daughter – while participating in Yoga classes, it allowed her to find a sense of balance in her busy family/ work lifestyle. Vicky is a wife of a serving member of the Armed Forces and a mother to one child, who is nearly 5 years old. She participates in Yoga classes on a weekly basis and is now trained to bring the benefits of Yoga to children from a young age, having gained her Foundation Certificate (3-8 years) with LGY in February 2016. Vicky is able to transfer her passion for teaching from a classroom environment to her Yoga classes using her teaching skills and creativity. She is able to captivate the children’s imaginations and take them on magical adventures. "Lucy gets a lot out of going to yoga and she really enjoys it. I like that it's non-competitive and is more about the benefits for the child. It's wonderful to see how much Lucy has come on since she started at the age of three."